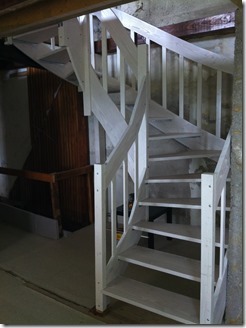 A few months ago Michel asked me to help him build a temporary stair to access the upper floor of his house while he was doing the renovation work. Using the free demo version of StairDesigner to calculate the stair, Michel then used screen capture software to transfer images into Revit Architecture the Autodesk architectural application. 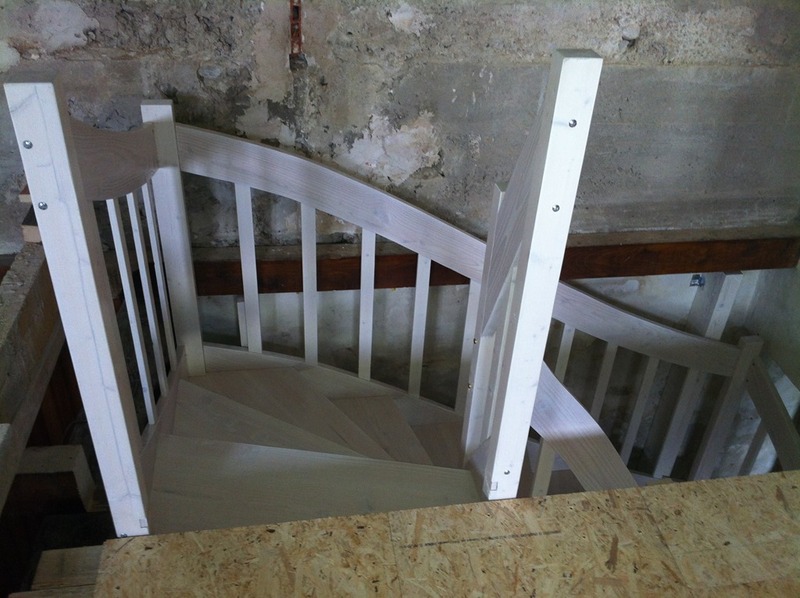 With a bit of coaching, Michel was able to build his temporary stair while waiting for the renovation work to finish so that he can install the real stair. Note that although Michel used Revit Architecture which is a paid application you can do the same thing with any free CADD software like DraftSight. 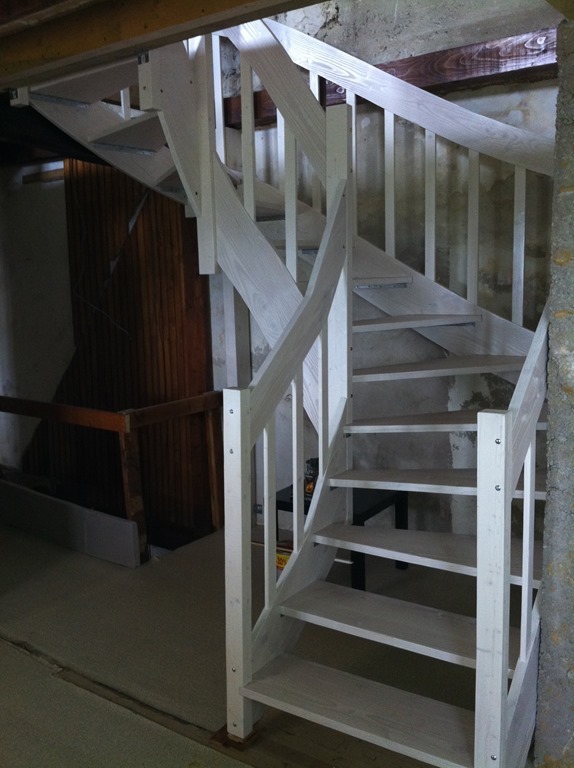 At last, I have the energy to send you the photos of my temporary stair that I built using the demo version of StairDesigner. I made some screen captures of the final design and displayed the images in Revit Architecture to develop the stair part and print full-size templates. I’ve had a lot of problems with the installation, bad back and down with the flue and to round it all off my camera broke down! However, at last everything has calmed down, and I’ve managed to take a few photos before I left. 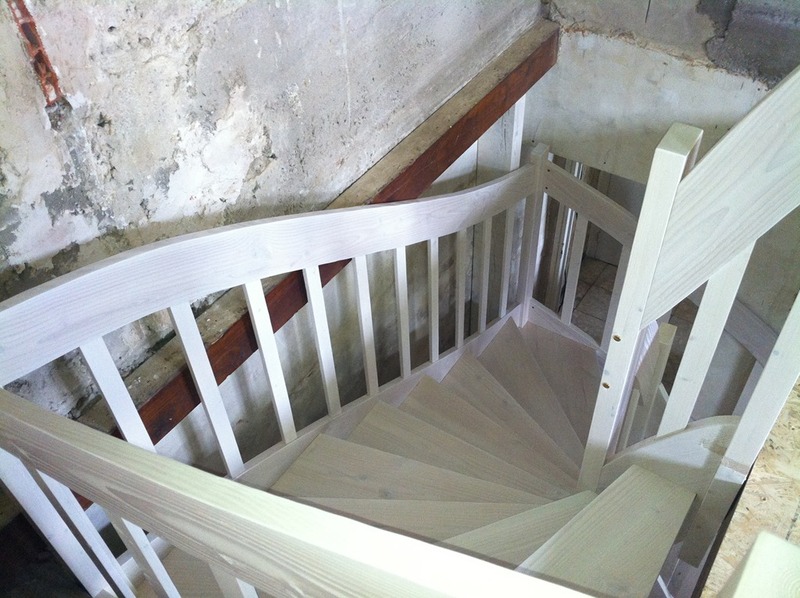 I made the stair in pine and painted it white. I have screwed all the parts with metal brackets, so that we can dismount easily when needed. For the design, as I had all the parts drawn fill size, so it was easy to mark up all the pieces of wood. 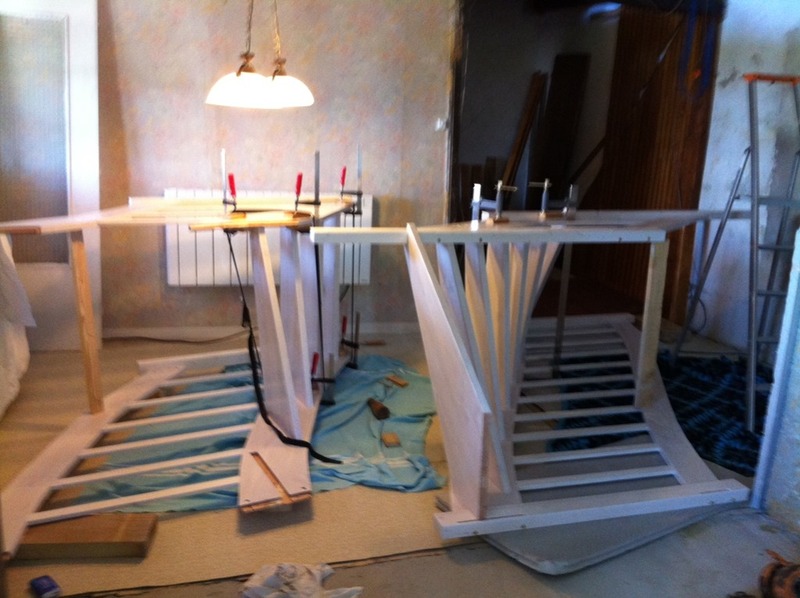 To making the stair, I needed some coaching, especially to decide on the assembly details for the spindles and installation, but as usual, you were very helpful, and I could really count on you to give me the best solutions for all the problems I encountered. So I would really like to thank you for all the helpful advice. 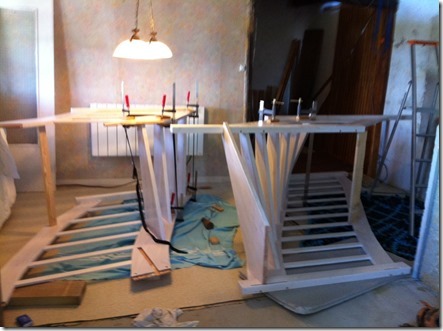 I had to make a new stair well and change the flooring and add intermediate joists to strengthen the first floor. I still have to fix the stair to the first floor and make the balustrade around the stair well. For my first stair, I’m really happy with the result, and I feel confident for the next couple of stairs that I’m going to undertake. I’ll be starting a couple of stairs with central cut strings but this time with more precis dimensions. Have a good week and thanks again for everything. I think that without your advice and your website, I would never have thought that I was capable of making my own stair. For the materials, I used 13 boards of pine at 120€. Thanks Michel for sharing this interesting experience. 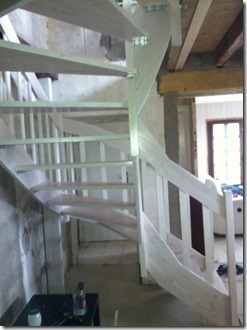 Not bad for a temporary stair at 200€! 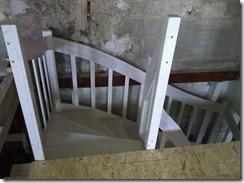 See how to design your stair with the free version of StairDesigner. Please leave a comment below or post any queries on the forum. Thanks!